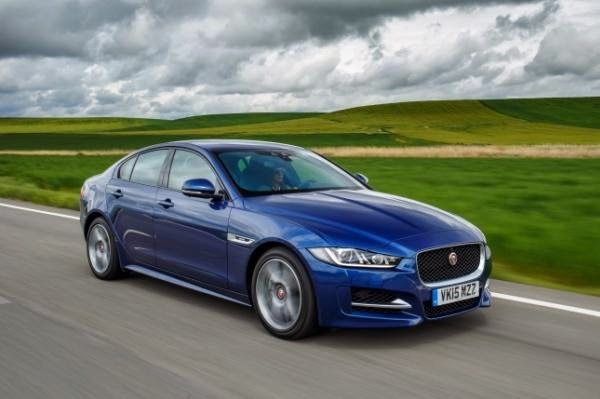 The XE is the new baby for Jaguar but it’s born with a big burden on its shoulders. It has to be the one to drive volumes for the brand and bring them right into the thick of the battle of the German trinity. It’s also in a segment where the Germans have some of their star cars. The BMW 3-series, Mercedes-Benz C-class – that was recently anointed World Car of the Year – and the Audi A4. So, does the Jaguar XE have the arsenal to take them on? 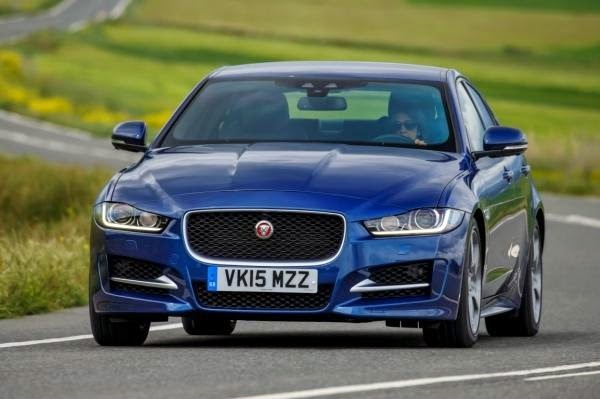 When the first reviews of the prototype of the XE came in, they were not too enthusiastic, so, when I went in for this test drive, I wasn’t expecting much. But when I swung open the doors and slid into the snug cabin, I was pleasantly surprised. The XE’s cabin, with its concave doors and a strip that runs over the dash and across the doors, all the way around the cabin to split in into two hemispheres, gives you the feel of being cocooned in a snug cockpit. The seating is low to give it a sporty feel but the 12-way adjustable seats ensure you can get into a position that is extremely comfortable. The interiors don’t really have a wow factor nor are they up to the level of something like say, the C-class; but everything is top-quality – from the double-stitched leather across the dash to glossy plastic surfaces and the splashes of chrome that adorn the interior. The steering is a chunky leather-wrapped unit that houses all the controls you need and meters and dials are clearly visible. There’s also a new 8-inch infotainment system that has the ability to sync apps (for India, we’ll get the basic version for now). Still, it’s intuitive, the screen responds well to touch and the graphics are bright and clear in all kinds of light. It’s not a cabin that’ll blow you away but it most definitely feels premium and luxurious. Where the XE loses ground is with space in the back seat. The rear of the cabin is cramped, with leg room just about comparable to the 3-series’ and head room, a little tight with the sloping roofline. To add to that, the rear bench is best for two as the central tunnel and rear AC vents eat up space for a third passenger in the middle. What the XE loses in the rear seat, it makes up for with a large, 450-litre boot (when the spare is strapped in) which can be further opened up by dropping down the rear seats. Hands wrapped on the steering wheel, we set off into the beautiful Spanish countryside to test the freshly minted 2.0-litre Ingenium diesel which makes its debut in the XE. Earlier reports of lack of refinement on the prototype were instantly dismissed with the engine starting up and settling into a refined hum. Even when pushed higher up the revs, it takes on a gruffer tone but never a clatter. Settle into a cruise and the engine definitely feels refined. Small dabs on the throttle bring immediate responses and though it’s a bit flat before 1800 rpm, it never lacks power. There’s enough off-boost as well to let you get a quick move on. The 8-speed ZF ’box swaps cogs efficiently and seamlessly at most times, letting you enjoy the best of the power. You do wish for quicker downshifts when driving harder, on occasion, but then a quick dab of the paddles and you're back in the game. Once the engine gets past 2000rpm, it feels strong but in a very linear manner. There are no sudden surges of torque, so it doesn’t feel punchy. However, that doesn’t mean it’s a slow-poke by any standards. Claimed figures are a very respectable 7.8seconds for the 0-100kph dash which is right up there with the competition. It’s just that the power is well masked. I think, in back-to-back tests, the XE is even capable of pulling off a surprise. But what will come to India first is a petrol engine. If it’s the 2.0-litre 237bhp petrol engine which we tested, it’ll be a good thing – it was quite impressive. It’s a punchy petrol that’s strong from the word go. Mash the throttle anywhere across its range and it serves up power instantly. Assisting it really well is again, the 8-speed ZF, which feels even better in this pairing; shifts up or down the range are quick and keep you right in the power band. I’d pick it over the diesel any day. However, Jaguar has two more petrol offerings which could make their way here – a 197bhp version of the same engine or the punchy 3.0-litre V6 from the F-Type Coupe. 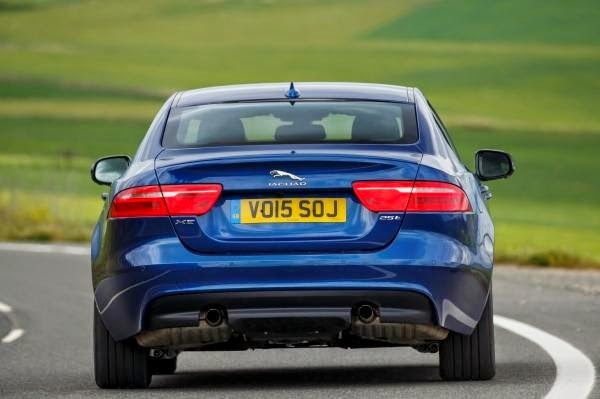 Whilst the engines are capable and good enough for the job, the XE’s trump card is really in the way it handles. Now, this is down to a few reasons. Let’s begin with the fact that this car’s body shell is made from 75 percent aluminium, saving a lot of weight. And according to Jaguar's engineers, what they saved here allowed for more leeway with suspension parts ­– a double wishbone front suspension to offer up more camber stiffness. The ability of these to resist lateral forces when the car is cornering is what really helps dynamics. And then, of course, there's the fantastic electric power steering. Jaguar has got the steering feel near perfect, and that really isn’t an exaggeration. It’s probably one of the best EPS units I’ve had my hands on in the recent past. It’s so brilliantly progressive, that you feel absolutely dead confident in any situation. It’s easy and light at slower speeds and weighs up ever so smoothly when you’re cornering hard. Come into a corner that’s tightening the screws on you and a small flick of the steering brings you right on track. It’s so positive, responsive and well-weighted at all times. It really is one of the best things about the car. Dial in a taut chassis and perfect 50/50 weight balance with the four-cylinder engines and you have a car that dives into corners with an enthusiasm that’s exciting. Around the track at Navarra – where I didn’t know the circuit and missed a few apexes – the XE never ever got unsettled. It just swung in the direction I wanted, nose going from corner to corner, body well balanced. Yes, we had the Active Sport set-up on the circuit, but even the Passive Comfort suspension settings are really not too bad. They offer better pliancy over rough roads and yet not taking away too much from the handling. There is also a Passive Sport suspension on offer, no doubt, better around the bends but will let expansion gaps and road distortions filter through more, with an underlying firmness. So, we asked ourselves, does the XE have the arsenal? Well, it’s certainly loaded with the right ammo. It’s a handsome car that comes with a good set of power plants, is dynamically a joy and with a luxurious cabin. If there's one thing that lets it down, it’s rear seat space. But it’s no more or less than the likes of the 3-series. So yes, I think it has potential to do some serious damage when it’s launched in 2016, probably at the Auto Expo. All Jaguar has to do now is get the pricing right to bring in the volumes.